He studied at the Conservatory of Music in Valencia and Barcelona, specializing in bass trombone at the University of Indiana USA with professors Keith Brown and Edwin Anderson. It was bass trombone Symphony Orchestra of the Gran Teatro del Liceo, the Orchestre de la Suisse Romande and is currently bass trombone soloist with the Barcelona Symphony and Catalonia National Orchestra. He has collaborated with most symphony orchestras in Spain, France and Switzerland. It is a founding member of chamber groups: QTB Trombons Quartet of Barcelona, Lausanne Brass and Brass & Co. He has played contrabass trombone with prestigious conductors Lorin Maezel, Zubin Metha & Pinchas Steinberg. In the educational field has imparted courses and master classes in most conservatories and youth orchestras in Spain. 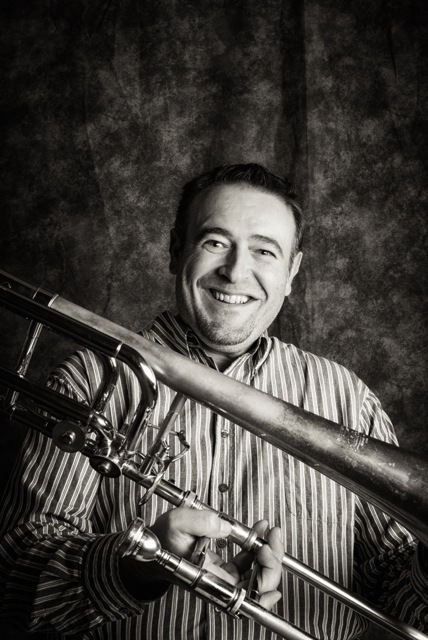 He currently teaches trombone, chamber music, specific repertoire and director of the Symphonic Band of the ESMUC. Raúl García is the President of TROMBOCAT, Trombone Catalan Association.